Certified Home Health Aide (CHHA) is an NJ state licensure and most noteworthy occupation with flexible work hours. Certified Home Health Aide (CHHA / HHA) is a most noteworthy member of the healthcare team. Param Institute of Education provides the highest quality education and in addition to job placement. Join our Certified Home Health Aide (CHHA) Program consequently helps to open the great doors into the Healthcare Industry especially relevant job stability. Contact for course details just today and secure your admission. Q: What do Certified Home Home Health Aide (CHHA / HHA) do? 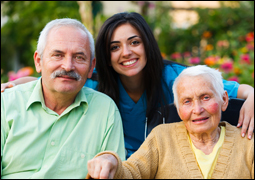 Certified Home Health Aide (CHHA) is a professional caregiver who provides effective personal care to patients. Certified Home Health Aide (CHHA) can works in-coordination with physician or nurse. CHHA can assist in patient’s daily routine. Most of all Certified Home Health Aide (CHHA) work in retirement communities, group homes, assisted living facilities, hospital or home setting. Consequently, Certified Homemaker Home Health Aide can assist older adults with disabilities. Furthermore, Certified Home Health Aide (CHHA) assist in continuing illnesses, and cognitive impairment or with activity daily living (ADL) services. 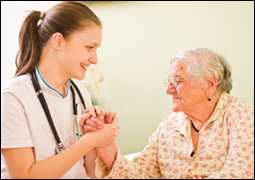 Therefore, The job of a home health aide offers a substantial reward. Since Certified Home Health Aide (CHHA) certification empowering you to focus on providing patients active care with a personal touch. Q: Where do Certified Homemaker Home Health Aide (CHHA / HHA) work? According to the Department of Labor Statistics, United States, Certified Home Health Aide (CHHA) can provide probably most efficient and comfortable services to the patient in a home setting, retirement communities, and assisted living facilities, after completion of the program as per the guideline of health & human services. It is one of the fastest growing professions. Certified Home Health Aide (CHHA/ HHA) emphasis on providing direct personal care to one patient at a time. Certified Home Health Aide (CHHA) in addition also visit several patients on the same day. They work with patients in a diversity of settings including independent living apartments, retirement communities, assisted living facilities, or even group homes and transitional housing. Q: What is the Certified Homemaker Home Health Aide (CHHA) admission process? Q: How can I be a Certified Homemaker Home Health Aide? What is the Duration of CHHA Course? At Param Institute of Education (PIE), you can do the Certified Home Health Aide (CHHA) training program in almost 2 weeks! 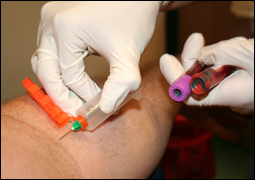 The program has 76 hours of training with almost 60 hours of Instructional and 16 hours of Clinical training. Consequently successfully completing the training and passing the final exam, a filled, signed and notarized State application is sent to the State along with course completion letter. After the state reviews the application, verifying fingerprinting and background check finally issue the NJ State licensure. Q: Job Outlook for Certified Homemaker Home Health Aide (CHHA / HHA)?